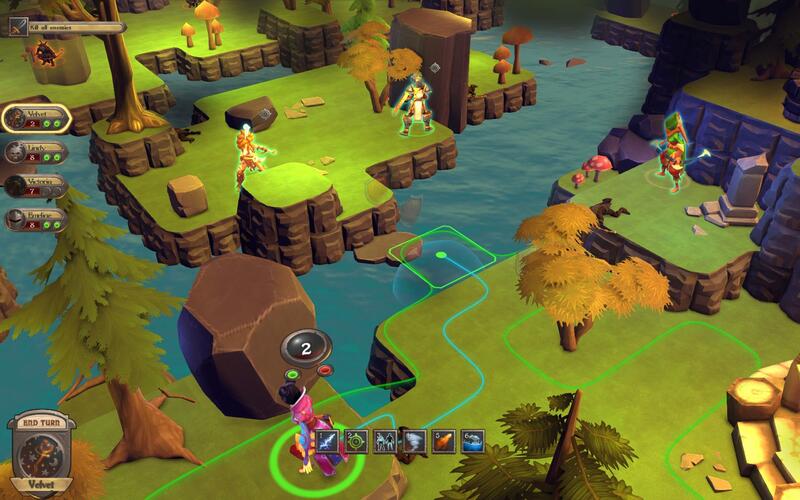 Recently Greenlit, Fort Triumph is yet another tactical RPG that wants to put its hat (or boot in this instance)into the ring. With that setup, I feel that what Fort Triumph is actually trying to accomplish is rather ambitious. 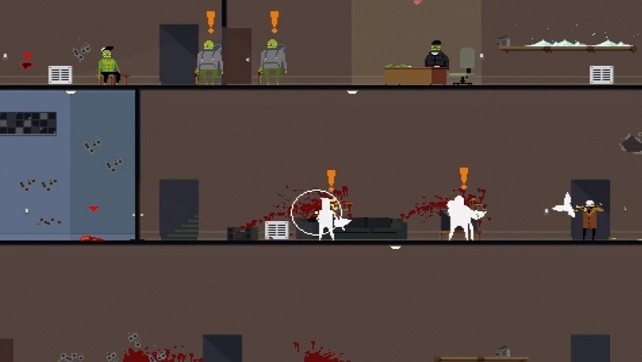 There are games that let you interact with your environment before by destruction only. Here, they say that you’ll be able to freeze rivers; that’s awesome! Not only can you then traverse an area where you couldn’t previously go, but if you kick something be they inanimate or an enemy NPC, they would go farther than normal. They mention fire and that doesn’t give any justice! If you light a tree on fire in a village, chances are the fire will carry to other things and the village will burn completely, destroying cover and lighting your own heroes on fire. Needless to say, I’m excited and I wanted to know more! Some people just want to watch the world burn, however this was an accident. Jonathan Amarelo, Head of The Videogame Backlog: Fort Triumph isn’t exactly the first tactical game on the market. What inspired you guys to want to jump into this arena? Is this the favored genre of the team? Adam Zaira, Founder/Programmer: I was inspired to start the project after the ‘new’ XCOM: Enemy Unknown came out and reinvented so many things in the genre, a genre which I personally love and was feeling stale for a while. We weren’t the only ones inspired by it – after X:EU a lot of tactical games inspired by it started showing up – Shadowrun, Massive Chalice, Wasteland 2, Banner Saga, Hard West to name a few. And while they’re all fantastic in their own way, whether it’s story, characters or strategic layer I felt they didn’t explore the tactical depth that X:EU did. The amazing achievement there is the delicate combination of cover, destructible environments, flanking and positioning, which is lacking from static games. And we wanted to explore that more in-depth, finding ways to make the levels themselves alive and active in combat in a way that demands tactical planning. Since then the concept grew and developed plenty, but we’re still very focused on that aspect and would like to make it a staple of the genre. TVGBL: What is happening in the Fort Triumph world and what are your heroes trying to accomplish? Shay Zeldis, PR & Community: I am trying hard not to cross the line into spoiler-land, as discovering the answers to these questions is part of the game, but to give you an idea – the world is not in great shape. Everyone knows the world was different once, safer, stabler, probably happier. Now things are falling apart and pure magic leaks from tears in the world to flood the surface – parts of the world change and warp magically, usually becoming very dangerous to ordinary people, and the crust of the world itself is tearing itself apart. 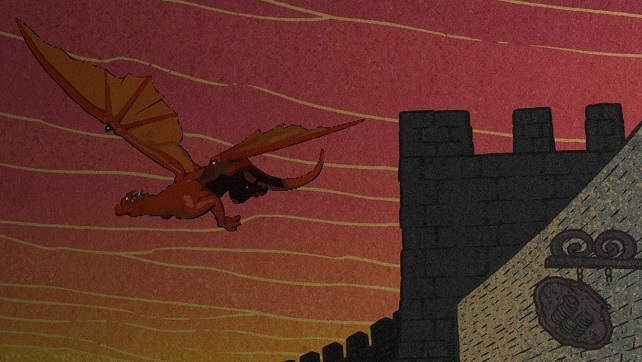 No one knows exactly why this is happening, but many heroes and would-be-saviors are flocking to Fort Triumph, an ancient ruined castle sitting right on top of a major magic leak, where they will start finding out what is happening and hopefully do something about it. TVGBL: You mentioned that there would be a world map and a strategic layer will be added to the game as it progresses in development. What do you anticipate that looking like? Will it be a living map that you have to actively defend against enemies who will take over your territory or will you be slowly taking over the whole map on your way to victory? Guy Wolfus, Game Design & Animation: We have a lot of ideas for the strategic layer which we’ve been toying with, and the main issue is that we can’t know in advance what will compliment the game best. What we can say for sure is the world map will include some form of exploration and travel, as we’d like players to seek out new adventures and old secrets. The best example we can give that’s leading our thought process for the strategic layer is HoM&M, so we’re pretty sure there will be a form of resource management / downtime strategic aspect to party or faction management. All in all, the strategic layer should at the very least allow players to be able to use it to optimize their tactical assets, but our vision for the world-map is a game in and of itself, that affects and is affected by the tactical missions. TVGBL: What is the scope of the game? How large will this game world be or are you hoping that procedural generation will generate the longevity and size of the game? 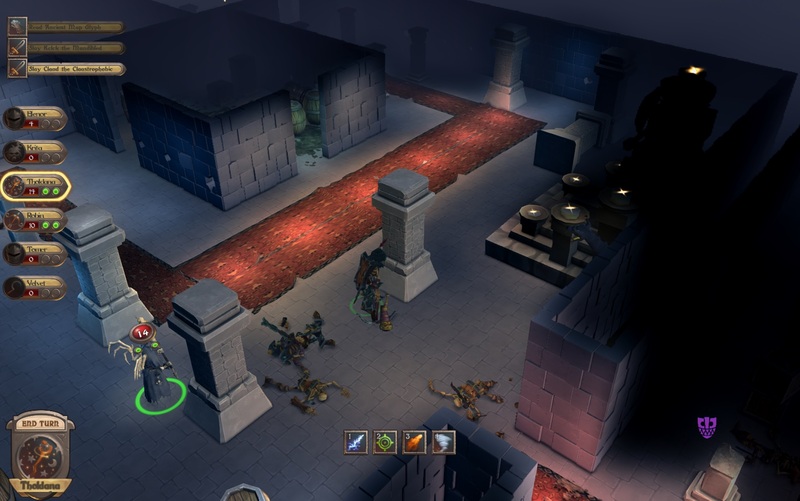 Guy: As a matter of fact, procedural generation doesn’t have anything to do with the longevity of the game – what we wanted to achieve by having procedural levels is a fresh tactical challenge whenever you’re in combat, so you can never know where the enemies will come from or where there are secrets hidden on the map. Regarding scope, ideally we want to have multiple campaigns and storylines that contextually merge depending on the player’s chosen path through the game. It’s a huge task, but that’s the dream. TVGBL: Do you remember when linear games were the norm? How comfortable do you feel about linear games versus randomly/procedurally generated games or open-world games in as much as how the story can be delivered? Guy: Remember vividly, and honestly I usually prefer tight linear games to over-bloated open worlds.With Fort Triumph though, we do not intend to have random stories, but actually seek to tell meaningful tales that reflect on our reality and will get you thinking. We derive a lot of inspiration from Terry Pratchett, who was a master in telling hard truths about human nature in a very graceful and light-hearted way. Because we want to free players to go their own way and make their choices, we’re going to have branching and therefore we’ll need to produce tons of variations for each piece of content. It’ll be more like a variety of linear stories, with flexible interchangeable parts spacing out the core story progression. TVGBL: Do you prefer one over the other or is there a space your heart for all approaches? Guy: It’s very likely we’ll be walking a line trying to balance out the advantages of each approach, trying to write compelling story arcs on one hand, and still contextually or procedurally generate episodes within it to ensure each run-through offers different missions and content. There’s still much debate on whether we should release several ‘preset’ campaigns or (especially if we get plenty of support) make the campaigns themselves unique for each run, but one way or the other we’re aiming for multiple story arcs that slowly reveal the history and secrets of the world, allowing players to influence greater and greater scopes. TVGBL: You mentioned that elements play a role on your Steam Greenlight page, could you expand a bit on them for me and how necessary they will be to a player’s run through your game? Adam: The way we see it, you cannot bring the environment to life without taking into account that it can be affected by the elements. We’d like ‘elemental states’ to affect interactions between heroes, enemies and objects. That could be passively (a snowy level will be less prone to spread fires for example) but more importantly actively – freezing a river to create a new flanking position, freezing the ground to kick objects much farther along it, burning objects and flinging them into groups of enemies, summoning boulders or other new obstacles to be used, and more and more. 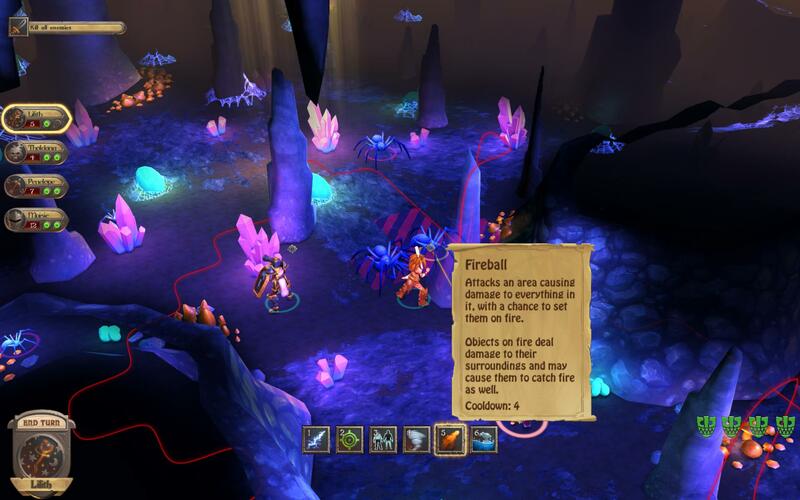 The point of implementing an actual physics engine was to allow players to discover new tactics and usability in the environment, even during our pre-alpha players tried things we never considered viable – for example, it was a player that realized that you could use one hero to push another of your heroes, and use that to get them farther down the field, possibly enabling them to reach new foes. TVGBL: Will there be any sort of character customization in Fort Triumph or all of the characters pre-made? 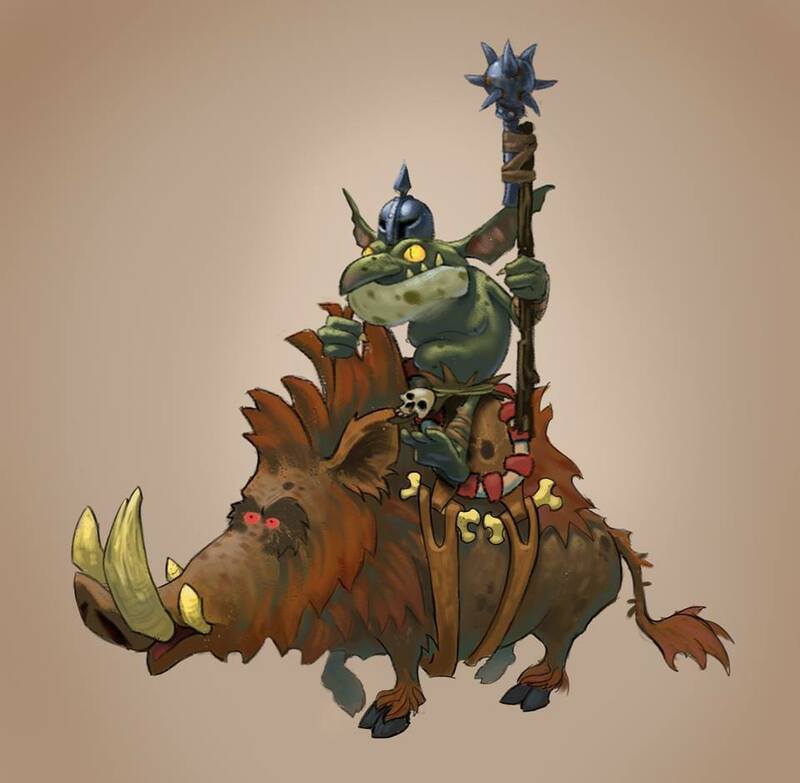 Guy: In the current build we’re using pre-made heroes, but we do want to include customization in the game – our first stretch goal beyond our base funding ask on Kickstarter is going to allow name and basic visual customization. 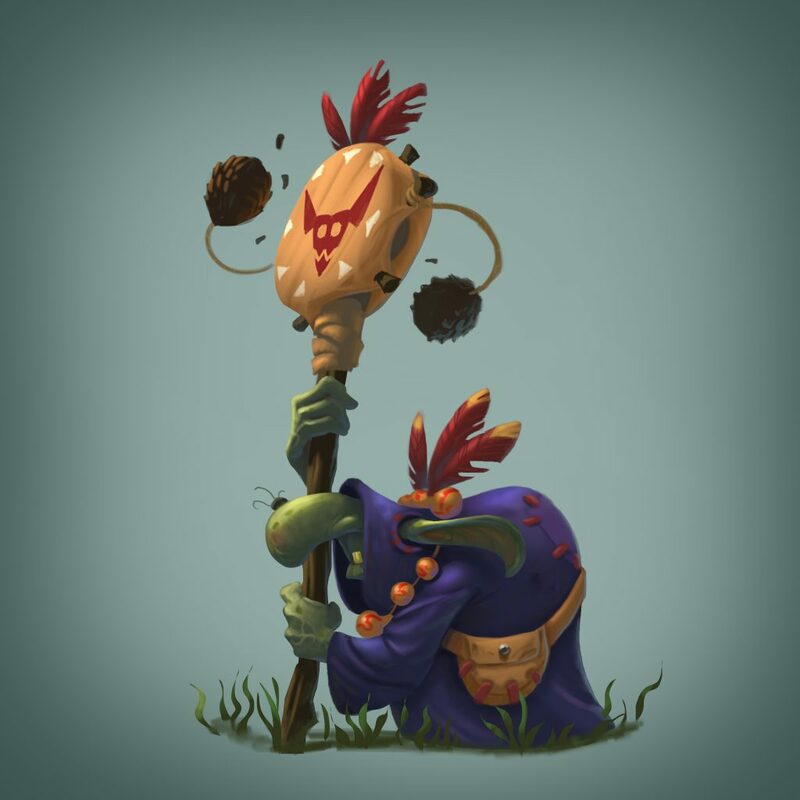 It is also possible depending on how the world map turns out that you will be able to recruit heroes from a pool of randomized characters (with different traits and classes). TVGBL: Crafting and loot are going to be in the game, but how big of a role will that play in the game? Will equipped loot change your character’s appearance? Guy: Currently crafting, loot and gear are relatively low on our priorities. We do want to have inventories with tactically usable items and customization that supports tactical depth, but we’re not at all sure we want to include a huge variety of equippable gear – it tends to be costly to make and can easily become too dominant as a tactical element. We also want to avoid grinds, and if gear drops are around, it’s super likely players will opt to grind random encounters just to feel ‘optimized’ when going forward with the story. Bottom line? If we have resources to make it happen in a balanced, contributing way we definitely will, but not at all costs. TVGBL: You’ll be starting a Kickstarter soon, when will that come about and what are your ultimate dream goals for Fort Triumph? For example, are there some stretch goals in mind that you currently don’t have the financial feasibility to reach and if so, what are they? Adam: Oh man, there are SO MANY things we’d do if resources weren’t an issue… The goal we chose is the bare minimum of what we need to develop full-time all the way up to Early Access (at which point we hope sales will keep us developing until full release). We’ve included some basic stretch goals but have dozens more ready if players like our game enough. Our main priorities for extra funds – more art and animations, there’s a huge variety of them because of our environmental interactions, and it’ll make the game that much more immersive. Bigger campaigns with more story (as mentioned earlier by Guy). 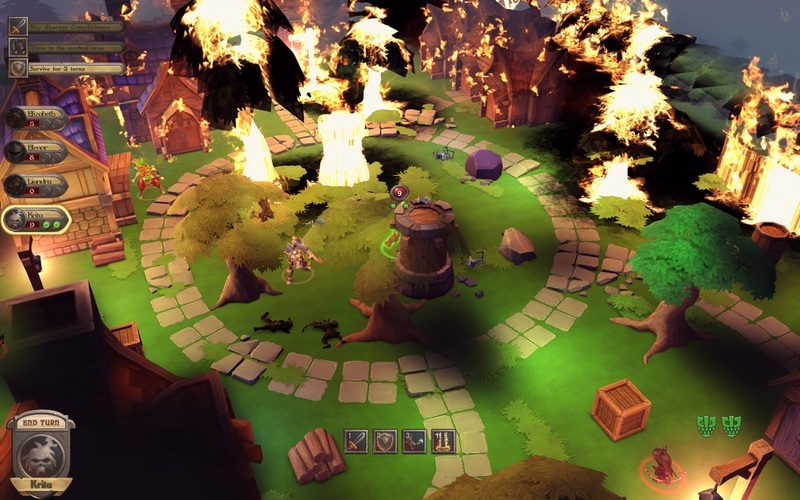 Multiplayer modes and challenge modes to be available outside the main campaign, twitch integration… And obviously broadening our array of environmental interactions and elemental states to the point where every tile and every object in the game is intractable and responsive to various elemental shifts and hero actions. TVGBL: Will you also be doing a Steam Early Access and if so do you have an ETA for that? Yali Zak-Malkin, Founder & CEO: Absolutely, we need our community to help us perfect Fort Triumph – in the end of the day we create a game for you, as much as it’s for us, and we’re planning to use the Early Access period to get to know as many players as possible, listen to their feedback, put up polls and improve our development with their help. Current plans are to start Early Access this summer, however plans might change depending on how well or not-so-well the Kickstarter campaign goes). Even though it didn’t say it was going to… this still burned by ally. Fire is mean. TVGBL: What types of feedback are you looking to get from your early adopters and how can we best help the development team of Fort Triumph? Adam: The most important factor deciding how much of Fort Triumph’s vision is actually developed is exposure, and since we’re not using paid advertising to get the word out, players enjoying our pre-alpha are our best hope. We need you who enjoyed our demonstration to actively think of a few other like-minded friends or gamers and let them know about us, as well as get the word out on social media and indie games websites. As for the types of feedback we need most – technical issues lead the list, as we really want the Kickstarter demo to be smooth and stable and your help spotting the issues is crucial. Beyond that – any suggestions you might have for the game are welcome, try to think what would make your experience better whether it is by changing the current gameplay, adding new features or removing some you feel are harmful to your experience. TVGBL: How are you preparing yourselves for the people who jump on Early Access and are disappointed that you didn’t release a full game? I would admit if I was putting up an alpha and people poo-pooed it I would be rather frustrated with the lack of understanding. Shay: Honestly that is not something we are very worried about. First of all, we hope to reach Early Access with a fully fleshed alpha or early beta, with most systems in place and mostly content and art gaps. Feels to me that with each passing year people understand Early Access better, and you don’t see as many flamefests as there were a while back. We’re also hoping developing with our community will allow players to get involved and understand where we are headed, hopefully that helps assuage any disappointment stemming from the game being a work in progress. Mages can create (as of this point) water bubble things to walk across. The down side was that the level was covered in water and she died and with that, so did my chances of completing it. TVGBL: There will be more information on Fort Triumph to come later I’m sure, but currently, where is the best place/places to find out more information? Shay: As part of our preparations for Kickstarter, we’ve joined the Square Enix Collective to get some exposure and feedback from strangers for the first time. You can download and try a build there, or on Gamejolt, which in my opinion is the best way to learn more about Fort Triumph. We are also active on Twitter, Facebook, Itch.io, IndieDB and Steam, but I’d say Twitter and Facebook are where important new announcements will be made first. You are also welcome to sign up to our newsletter, we will be announcing the Kickstarter launch there as well. Furthermore, there’s a bunch of lets plays and other player-made content surrounding Fort Triumph, which can also give you a great idea about the game as well as show some ancient builds and how we’ve progressed since. TVGBL: Is there anything else you’d like the readers to know? That wraps up this Q&A session with the Fort Triumph team. I hope you enjoyed all of the answers as much as I did. I’ll admit that I had a lot more questions going into this than I expected and I didn’t really feel like leaving any of it out. I hope you feel informed. I hope you feel excited! I look forward to their Kickstarter that will be happening soon (I’ll post a link when available). Let me know below if you are as excited as I for another great addition to the tactical game genre!